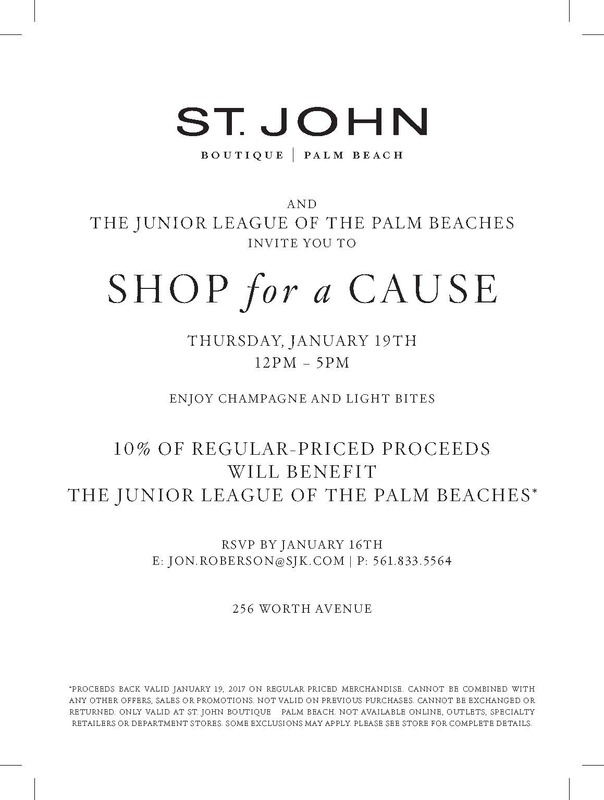 January 19th at St. John Boutique Palm Beach was the place to be supporting Junior League of the Palm Beaches. Click on the title above for more information. An afternoon enjoying Champagne and Light Bites while shopping the latest styles. 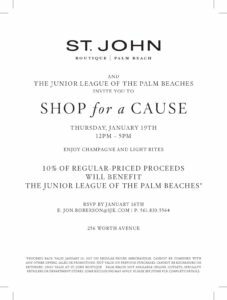 10% of regular priced proceeds benefitted our local community programs!